Michigan Nonprofits with 50+ employees on benefits. Find out how Nonstop Wellness can save your organization valuable dollars while also reducing or eliminating out-of-pocket expenses for your employees! "It was important to us that saving money on healthcare didn't come at the expense of our employees, such as through cost-shifting. 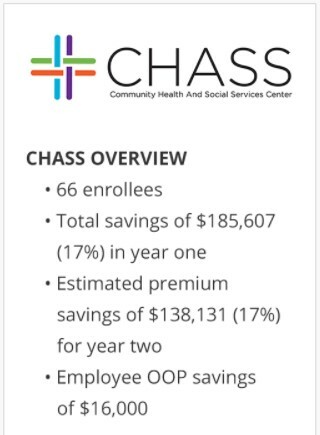 So the biggest thing with Nonstop Wellness is that our staff saves in both premium and out-of-pocket costs, which is fabulous for them and for CHASS. The fact that we can now advertise a great benefits package, which offers our employees a $0 copay and deductible program, makes a big difference in our recruitment and retention efforts." Nonstop is also a proud partner with the Michigan Primary Care Association, saving organizations like CHASS, Great Lakes Bay Health Centers, and East Jordan Family Health Center valuable dollars and increasing access to care for their employees.